The all-new 2019 Odyssey is here and it’s mighty impressive. Loaded with new features and technologies, the Odyssey now offers more convenience, more connectivity and more fun than ever before. With the uniquely versatile Magic Slide 2nd-Row Seats,™ passenger accessibility and comfort is at an ultimate high. 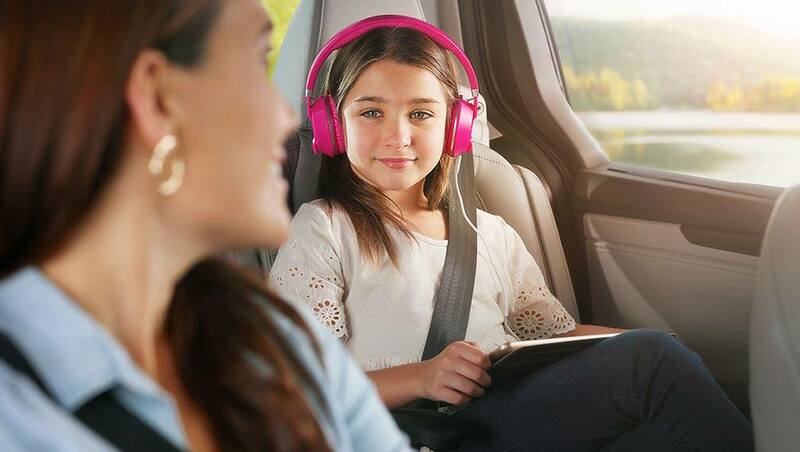 To keep everyone on board even happier, the Odyssey now impressively offers available AT&T Wi-Fi hotspot and an available advanced Rear Entertainment System with streaming capability. 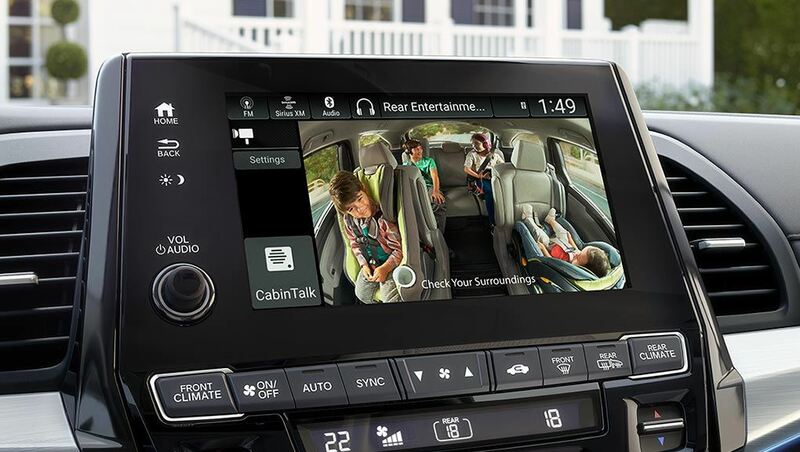 With the available CabinWatch™ and CabinTalk™ features, it’s never been easier to see and communicate with passengers in the rear seats. From information and entertainment to navigation and trip-enhancing convenience, this is one minivan that aims to impress you and any passengers on board. The 2019 Odyssey is a perfect accessory for any family. It sports a sophisticated design with bold, available 19″ aluminum-alloy wheels to match. Up front, the Odyssey shines bright with available LED daytime running lights, headlights and fog lights, with LED taillights at the rear. You can now enjoy hands-free convenience with available power sliding doors and an available hands-free power tailgate with programmable height. Late or early, you’ll always arrive fashionably. The versatile interior of the Odyssey is perfect for your unpredictable lifestyle. It comes standard with a proximity key entry system with pushbutton start and remote engine starter so you can quickly get on your way. Once inside, the standard 8-passenger seating and cavernous cargo room with plenty of storage prove this minivan is far from mini. And if the kids start to fight, don’t fret. In the 2019 Odyssey, you can easily slide them apart with the Magic Slide 2nd-Row Seats. These seats easily reconfigure for enhanced passenger comfort, cargo-hauling flexibility and easy access to third-row seating. In the back, simply pull on the seatback strap of the One-Motion 60/40 Split 3rd-Row Magic Seat and it effortlessly folds away to create even more cargo space in seconds. 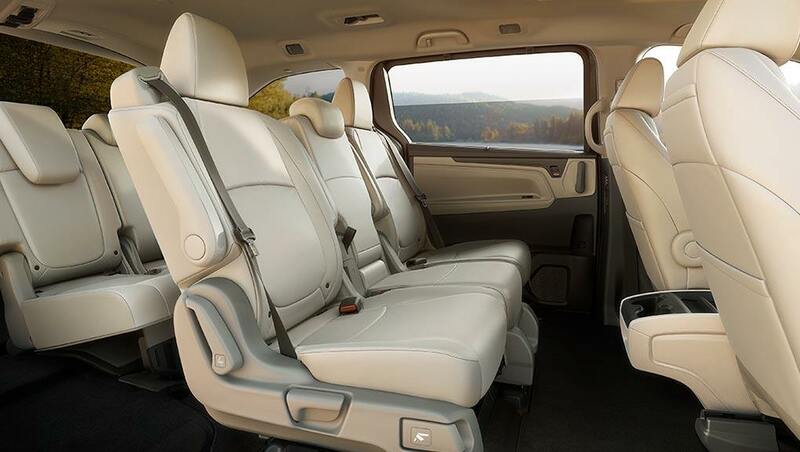 While the Magic Slide seats help keep the peace, the available HondaVAC helps keep your Odyssey looking clean. You’ll love being in the driver’s seat with standard heated front seats, and an available heated leather-wrapped steering wheel will help keep you cozy on cold mornings. The 2019 Odyssey is here and it’s mighty impressive. 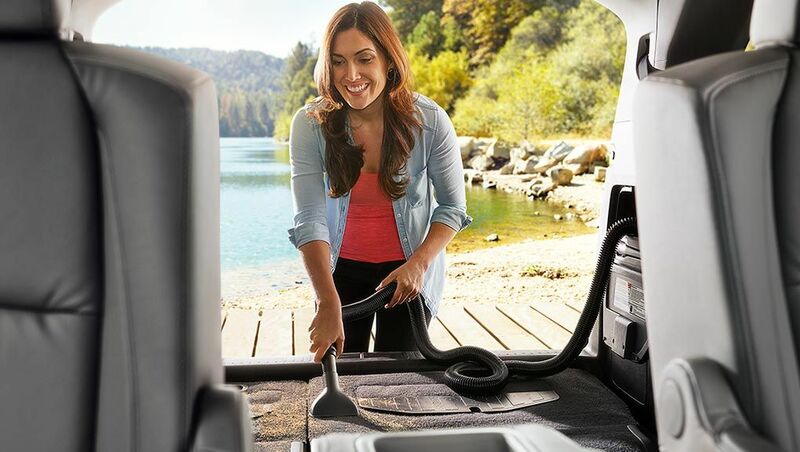 Loaded with new features and technologies, the Odyssey now offers more convenience, more connectivity and more fun than ever before. Look back without having to look back. The available CabinWatch™ is a high-tech conversation mirror that provides a view of the 2nd row and 3rd row on the centre display. At night, CabinWatch™ uses IR LEDs for better visibility of passengers without disturbing them. 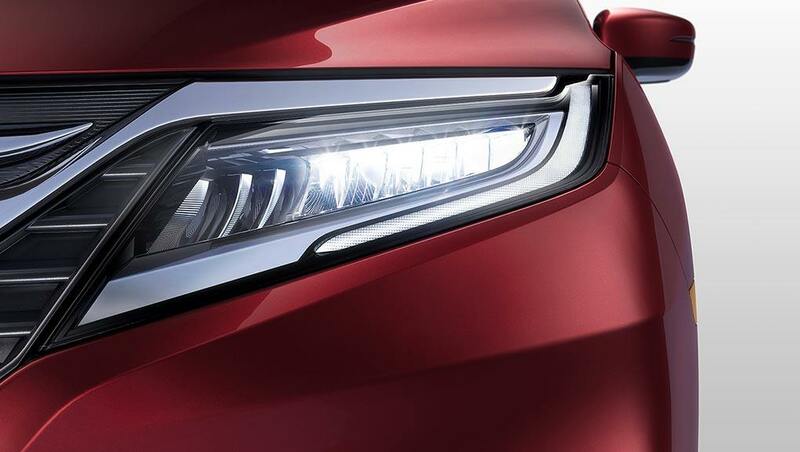 Honda has engineered functionality into every inch of the Odyssey, including the engine bay, which features a 3.5-litre i-VTEC V6 engine that delivers 248 horsepower and 250 lb.-ft. of torque. Together with Variable Cylinder Management (VCM) and the standard 6-speed automatic transmission, the Odyssey achieves one of the best fuel economy ratings in its class for an 8-passenger minivan. When you take your foot off the brake, this feature is engineered to temporarily maintain brake pressure to help prevent your Odyssey from starting to roll backwards when stopped on an incline. 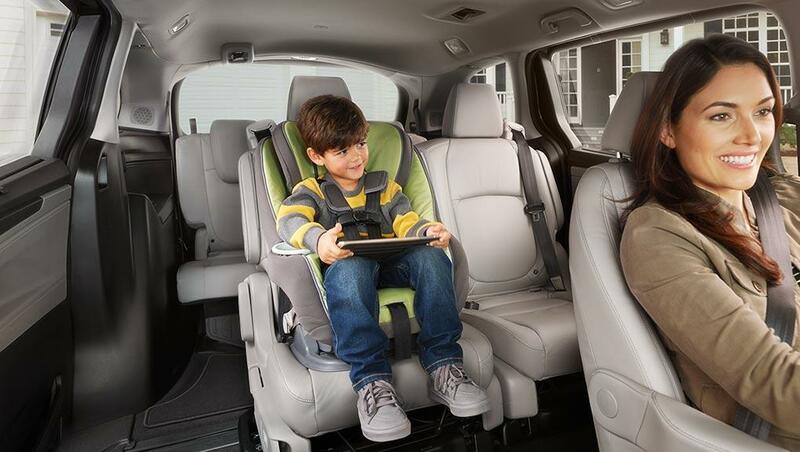 The Odyssey helps prepare you for the unexpected with 3-point height-adjustable front seat belts with automatic tensioning system and 3-point rear seat belts. The cabin of the Odyssey contains six standard airbags. It features an i-SRS front airbag system as well as side curtain airbags with rollover sensors, which are designed to deploy the side curtain airbags in the event of a rollover. Plus, it has SmartVent side airbags, which are designed to deploy safely in a manner that mitigates the risk of injury to out-of-position or smaller occupants. 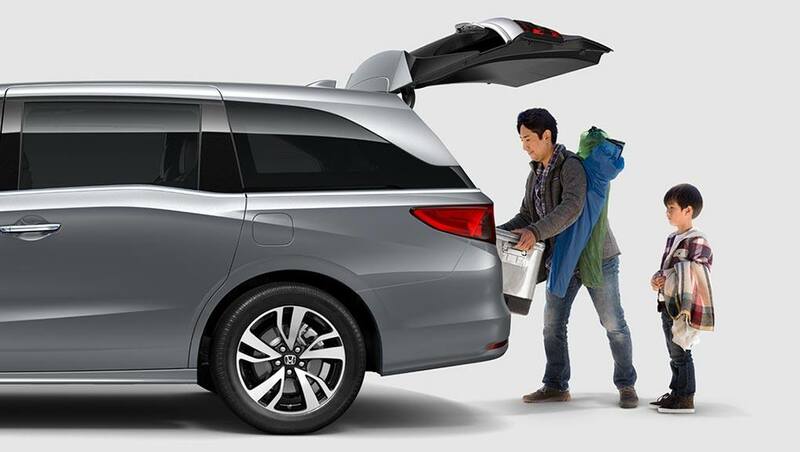 Like all Honda trucks, the Odyssey is built with a rigid unit-body frame for added strength, stability and vehicle handling.